There are not many differences between Magento 2 and older versions Magento 1.x. Some criteria such as Home Title, Description, and Keywords remain unchanged. Besides, some settings related to URL key for store views, Canonical tags, and category path keep identical to previous versions. Only a small change is made here which is the addition of “Product Fields Auto-Generation Template”. 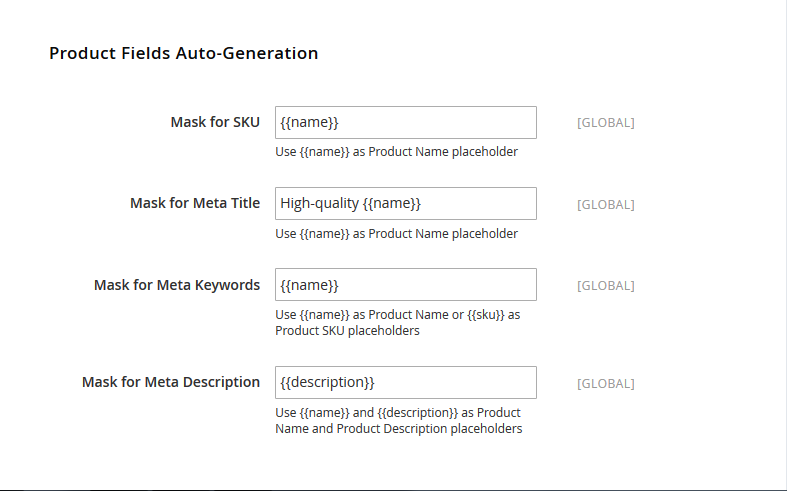 This setting allows users to keep track of Meta tags along with pre designed templates and product attribute. To function this feature, shop admins can find in Stores > Configuration > Catalog. Users may be surprised by remarkable improvements made in XML Sitemap. 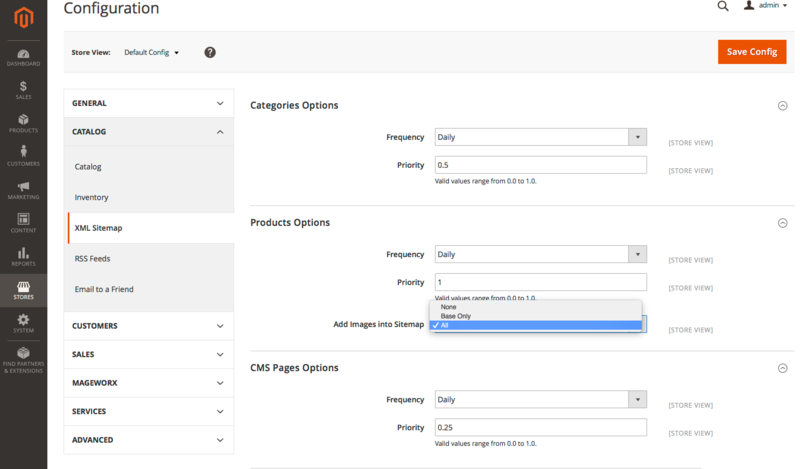 With the update version of Magento, shop admins can customize their priority and frequency for any product, CMS, category and other pages individually. Moreover, a sitemap will be directly and automatically sent to search engines such as Google in a moment by a simple setting. Furthermore, Magento 2 enables users to attach pictures, apply the Sitemap Index and specify the parameters; therefore, XML files now can be separated easily. To make any changes for this function, store admins can access from Store > Configuration > Catalog > XML Sitemap. The appearance of Rich Snippets in Magento 2.0 is considered to be the most outstanding feature added. This function allows online merchants to present the defined markup data from their product pages along with Google results; consequently, boosts their CTA and SEO work. Additionally, all these tasks are done by default settings of Magento 2.0. It means that, shop owners have nothing to do with this function. One feature should not be missed in Magento 2.0 is the ability to customize robots.txt depending on user’s requirements. Shop owners can find this function in Store > Configuration > General > Design > Search Engine Robots. 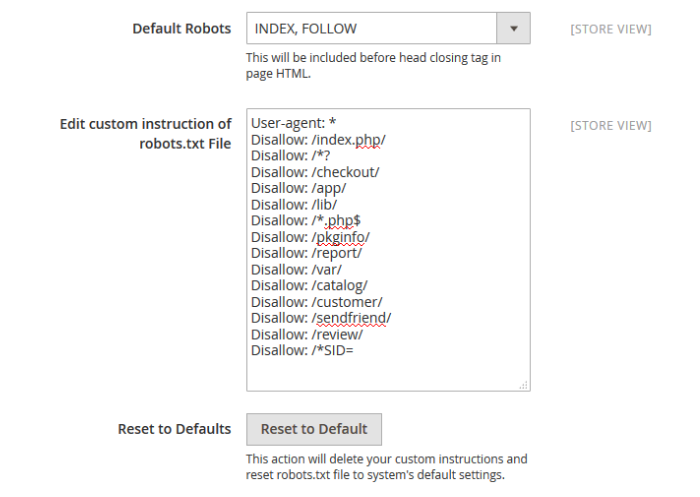 With the default setting for robots.txt files as “NOINDEX, NOFOLLOW”, it prevents search engines from detecting product pages of online merchants. It is significantly helpful for users who are not well-prepared to open their stores widely, especially when they sell unreal products. In contrast, if store admins want their product pages appear in the SERPs, they definitely need to change its default setting from “NOINDEX, NOFOLLOW” into “INDEX, FOLLOW”. The introduction of Schema.org in Magento 2.0 template is expected to boost SEO work. Its function is building up a wide range of vocabulary to complete product page content and metadata. Consequently, it will greatly contribute to push webpage rankings in the SERPs. If in Magento 1.x versions, users need the support from a third party extension to add label for their images. 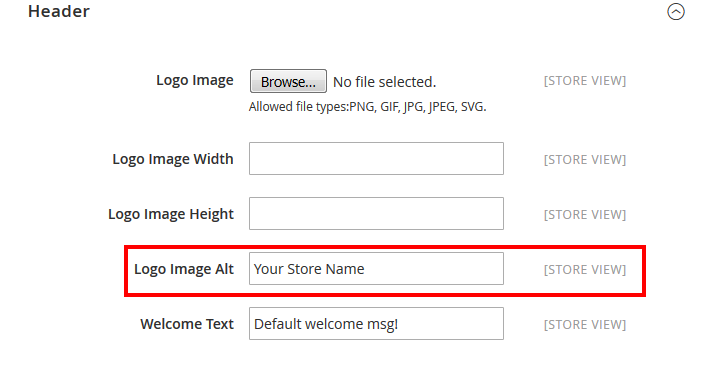 Now with Magento 2, store admins can themselves label their images without any difficulty to attract customer’s attention. These all three features above are created with the mission to better SEO work. Related products help to show suggestions about other products which have relation with the original product. For example, when a customer decides to buy an Iphone X, a chain of suggestions such as earphone, case, and so on will appear to higher customer’s demand about these products. Upsells happen when a website offers the same kind of products but with more expensive price and higher quality for instance. And cross-sells applied when the stores have other products in other categories which can be used along with the product purchased. Generally, these three features are used to increase customer’s demands about other products. One of the outstanding features added is that Universal Analytics has a bunch of options supporting the management and collection of customer data in order to track their shopping habits. To use this function, users need to enable e-Commerce tracking in default settings, after that they will have detailed activities of their stores. 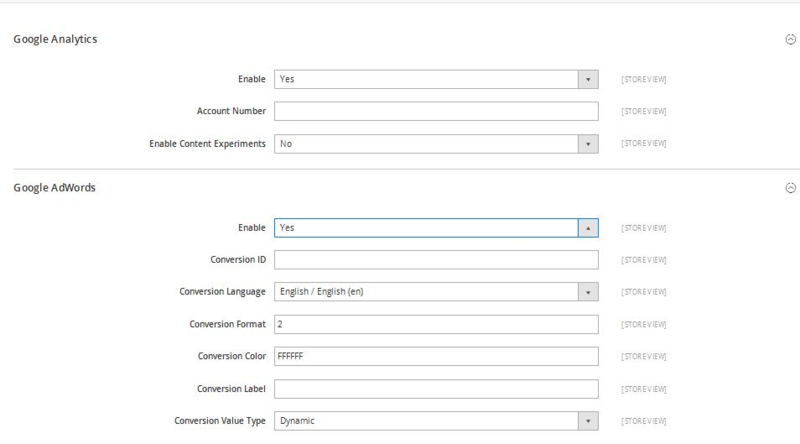 With Adwords Conversion, shop admins now can have numerous suggestions for proper keywords used for their stores and support website conversion. Thanks to the introduction of Google Tag Manager in Magento 2, online merchants can now generate, modify, and update their tags whenever they want depending on their requirements. In other words, shop admins can easily customize their demands for their tags. With Magento 2, it is much easier to have friendly URLs. We all know that friendly URLs will enable spiders to detect the product pages in a second and help them gain higher position in SERPs. However, many store owners do not pay attention to this part which results in several URLs with strange and unreadable symbols such as “?=sortby, ?p=2”. To avoid it, shop admins can find in System => Configuration =>Web =>Search Engine Optimization => URL Options. At the same time, they can access Search Engine Optimization menu and choose Yes for Server URL Rewrites. 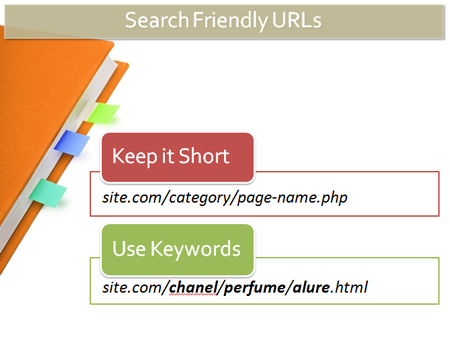 These actions will prevent those symbols from being automatically added into URLs. 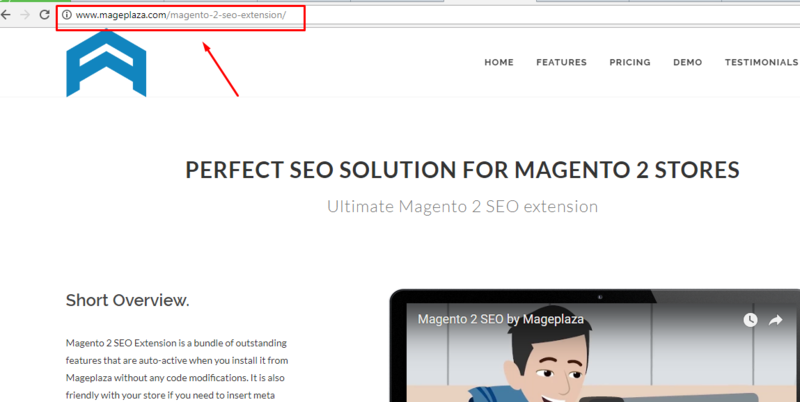 There is not anything different from SEO settings in Magento 1.x and Magento 2. In both versions, there are some default settings need to improve more or make changes when take into practice. For example, in Magento 2, homepage title do not have any improvement, it remains as “homepage”. Therefore, shop owners have to remember to change this field in settings to make their names more meaningful and attractive to web browsers. Besides, it is also important for users to add meta descriptions and rename images to make them more suitable with the stores.